To save our world and all those like it, SUPERMAN, BATMAN and their caped colleagues must go toe-to-toe with their evil mirror images in Justice League: Crisis on Two Earths, the seventh entry in the successful ongoing series of DC UNIVERSE Animated Original PG-13 Movies coming February 23, 2010 from Warner Premiere, DC Comics and Warner Bros. Animation. The full-length animated film will be distributed by Warner Home Video as a Special Edition 2-disc version on DVD and Blu-RayTM Hi-Def for $24.98 (SRP) and $29.99 (SRP), respectively, as well as single disc DVD for $19.98 (SRP). The film will also be available On Demand and Download. 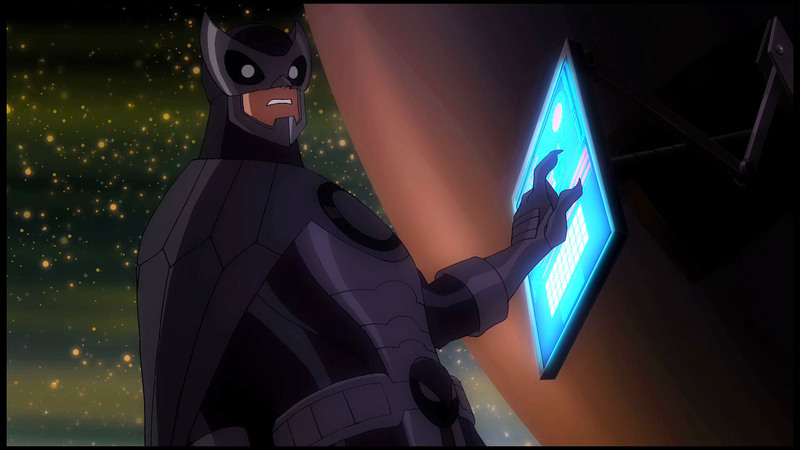 Justice League: Crisis on Two Earths is an original story from award-winning animation/comics writer Dwayne McDuffie (Justice League) rooted in DC Comics' popular canon of "Crisis" stories depicting parallel worlds with uniquely similar heroes and villains. Bruce Timm (Superman Doomsday) is executive producer. Lauren Montgomery (Wonder Woman, Green Lantern: First Flight) and Sam Liu (Superman/Batman: Public Enemies) are co-directors. 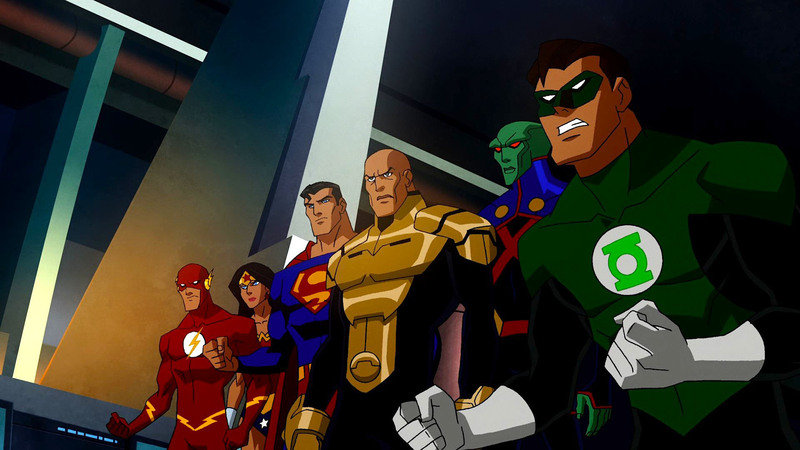 In Justice League: Crisis on Two Earths, a "good" LEX LUTHOR arrives from an alternate universe to recruit the JUSTICE LEAGUE to help save his Earth from the Crime Syndicate, a gang of villainous characters with virtually identical super powers to the JUSTICE LEAGUE. What ensues is the ultimate battle of good versus evil in a war that threatens both planets and, through a diabolical plan launched by OWLMAN, puts the balance of all existence in peril. DC Showcase - The Spectre: The first animated short in the all-new DC Showcase series focuses on a detective story with an ethereal twist, featuring the otherworldly character originally introduced by DC Comics in 1940. The short is written by Steve Niles (30 Days of Night), and the voice cast includes Gary Cole (Entourage) and Alyssa Milano (Charmed). Featurette - "The New World": From Identity Crisis forward, DC Comics raised the stakes with talent writers, editors and artists pushing the boundaries of what it means to be a modern day Super Hero. This documentary covers the riveting and often harrowing tale of New York Times bestselling author Brad Meltzer's "Identity Crisis," and why this story struck the right chord with the comic book audience. The story is a personal one for the creator, as well as the DC Comics executives' fortunate enough to have been a part of this mature comic book publication. While revealing the strategy and sentiments behind this comic book, the documentary film goes a step further to explore the continuing and recent publications of "Infinite Crisis" and "Final Crisis," while crafted with the narration of "The Dark Knight" Executive Producer Michael Uslan. The tension is high, the story is personal, and the stakes have been raised! 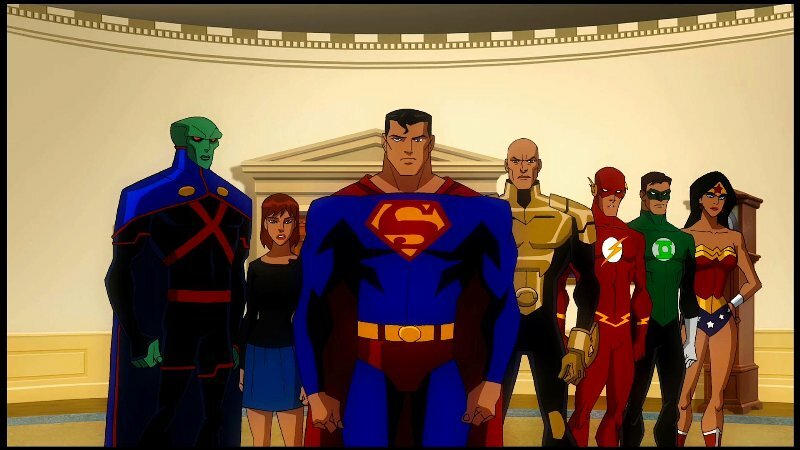 "Justice League: Crisis on Two Earths is an outstanding representation of the DC Universe series of groundbreaking animated films coming from creative forces within DC Comics, Warner Premiere, Warner Bros. Animation and Warner Home Video," said Matt Bierman, Senior Vice President Production, Warner Premiere. "It is a testament to the team effort between those four divisions that brings forth a feature-length animated original PG-13 film bursting with great storytelling, memorable characters and impressive animation. This is truly a blockbuster animated film." "We're very excited to present an original story from renowned writer Dwayne McDuffie that takes the JUSTICE LEAGUE mythology and spins it on its ear with parallel worlds echoed in so many classic DC 'Crisis' tales," said Gregory Noveck, Senior VP Creative Affairs, DC Comics. "This is a thinking man's hero movie with a set of villains determined to succeed and one focused on complete intergalactic annihilation - so just as the stakes are that much higher, so is the intensity of the action with these legendary characters." "DC UNIVERSE films continue to stretch the creative boundaries of comics-to-film presentations, and Justice League: Crisis on Two Earths offers fans another vision of these iconic characters brought forth by outstanding animation talent - led by executive producer Bruce Timm - and an inspired voice cast featuring the stellar talents of Mark Harmon, Chris Noth, William Baldwin, Gina Torres and James Woods," said Amit Desai, WHV Vice President of Family, Animation & Partner Brand Marketing. "The co-direction of Lauren Montgomery and Sam Liu merges the best of the last three DC UNIVERSE films with a fine balance of intelligence, emotion and more action than even two Earths can handle," said Sam Register, Executive Vice President, Warner Bros. Animation.